The embroidery is so clever, but the fabric background choice to me was top notch. I have had a craving for these fabrics that look sort of like paper. 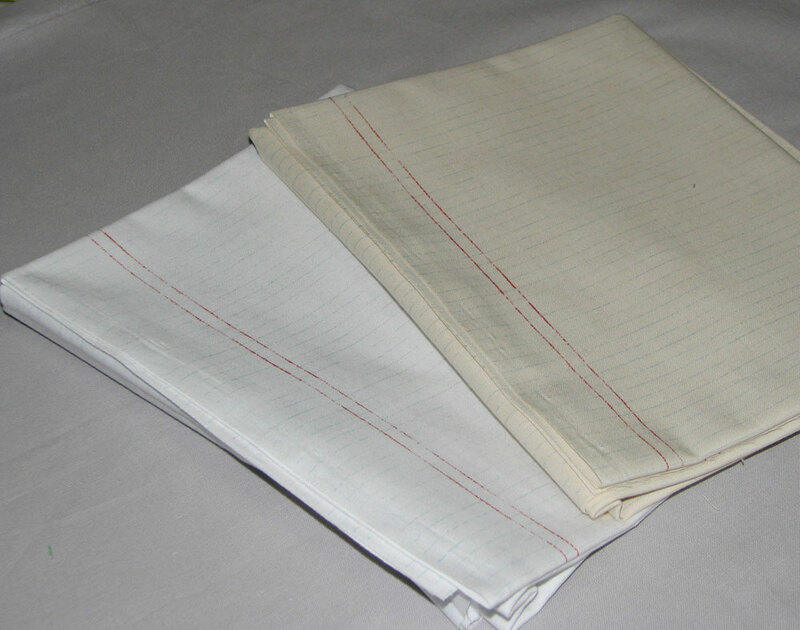 This piece was machine stitched to get the notebook look, but you can buy some to. 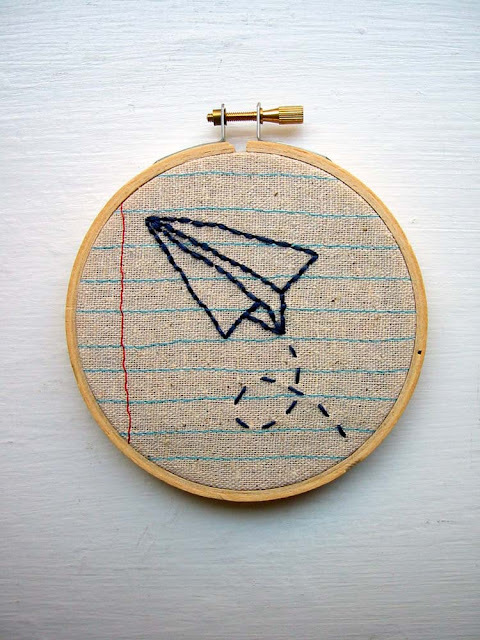 The perfect addition to any fun piece of embroidery. The Girl Friday line had a fancy graph paper with lines that I loved so much and still cannot bring myself to cut into. Then I also stumbled upon some paper like fabric at Pink Chalk. Thanks to another flickr friend I was led to Kathy at Pink chalk for some Basic Grey Basics by Moda Fabrics. And now I have 4 lovely prints that I love to look at, and oogle over. I love her online shop because it's full of things that inspire me to create. 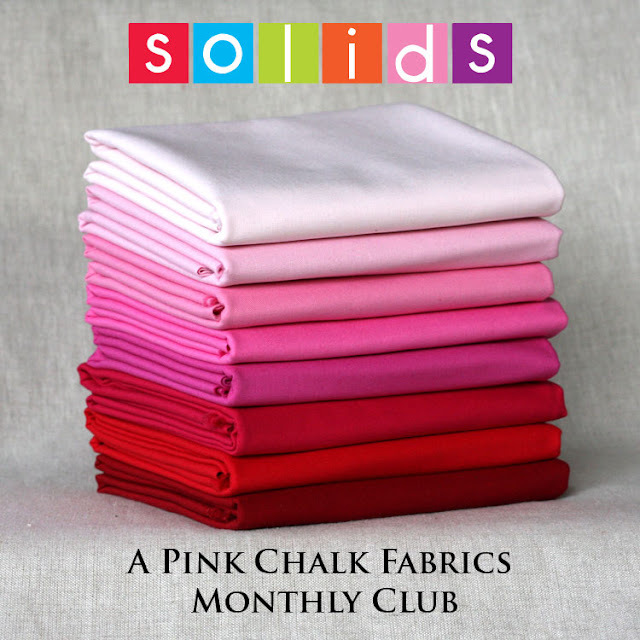 I just recently joined in on her solids stash of the month club. Have you joined in yet? 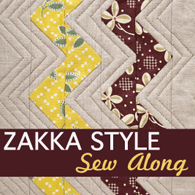 This will be a great way to preview colors and make things for holidays, or even just to incorporate more solids into your quilting. You can buy all those fabrics locally! = ) Also I believe that textured fabric with the embroidery is Osnaburg. It's super cheap and the texture is awesome. Hope you're feeling better soon! Yes I love the Osnaburg fabric! At first I thought that was REAL paper,totally cool!!! I have all of those fabrics as well! Love em! Thanks for posting my wall art. I machine stitched the lines on the fabric. I really love the Basic Grey notebook paper. I don't know how I missed it because I LOVE Basic Grey. 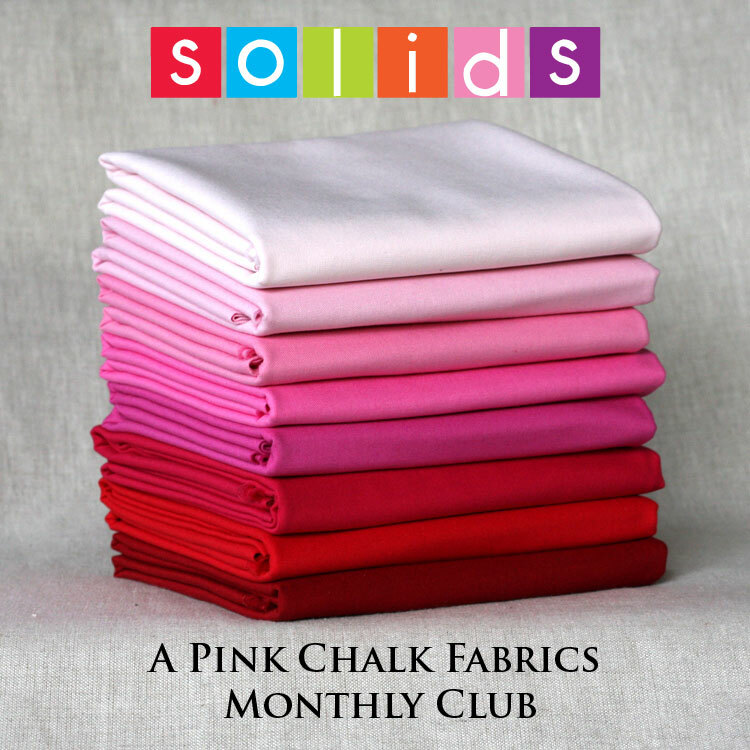 I've been thinking of signing up for the solids, too. 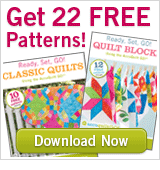 Did you do fat quarters or half yards? Thank you Claire! I adjusted the text, that makes me feel like I can make it now with it being machine stitched. What a clever idea! LOVE these fabrics. Who didn't doodle their hearts away in 8th grade on that notebook paper? Yes please on ideas for using scraps!!! I really wanted some of the Cosmo Cricket fabric but I held off for too long! I wrote as tutorial for a variation string block using scraps on my blog (http://miss-print.blogspot.com/2010/07/tutorial-pieced-centre-string-quilt.html) and a tutorial for using the blocks to make coasters too (http://miss-print.blogspot.com/2010/08/tutorial-pieced-centre-string-block.html). Can you please tell me where to get some of that notebook paper fabric? I have searched and searched and can't seem to find some. THANKS SO MUCH! 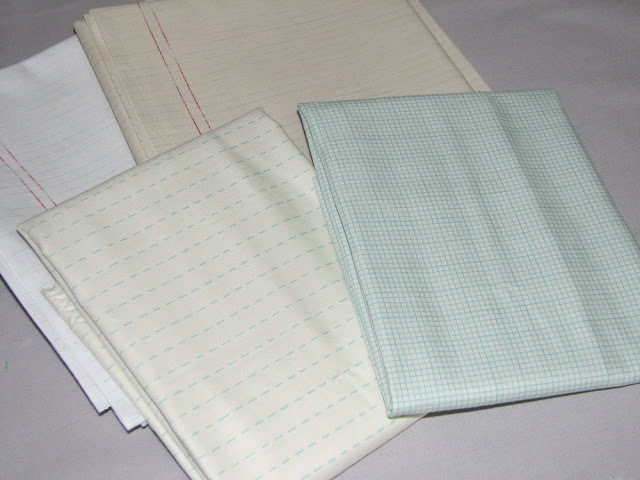 PLEASE tell me where to get this notebook paper fabric. I am dying to make something with it and cannot find it anywhere!!! PLEASE tell me where you got this fabric. I am dying to make something with it and cannot find it anywhere. Thank you. Me too!!! I'm dying to find this fabric and went to the links but can't seem to locate it. Please help ;) Thanks!